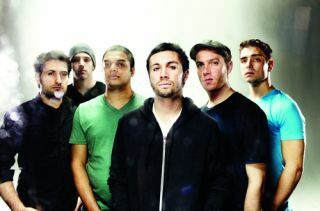 Matt Halpern, drummer for metallers Periphery (pictured above), is launching a brand new online music education service. Bandhappy offers face-to-face or online lessons via a custom-build video chat system. One guy who seems pretty impressed with the site is Lamb of God's Chris Adler. He said: "Bandhappy really spent the time gathering information from students, teachers and touring artists to create the most well-rounded and groundbreaking online music tool that I've seen. I've given and taken lessons on here myself and even picked up something I used on the new Lamb of God recording. Bandhappy has it all." Teachers signed up for Bandhappy include members of Periphery, Animals As Leaders and Protest The Hero. For more information visit http://bandhappy.com.